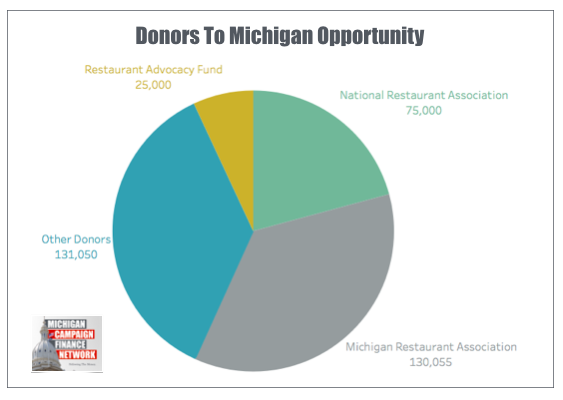 Who's Funding Statewide Ballot Proposals? 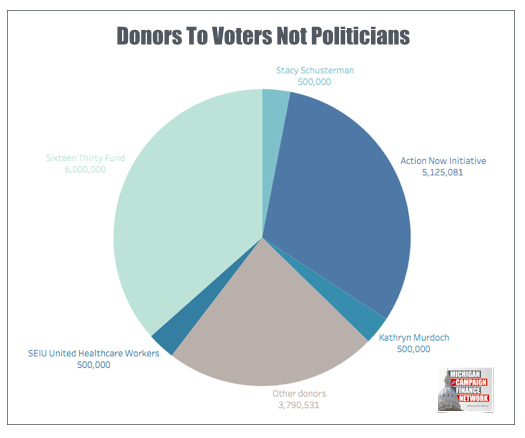 Who Funded Statewide Ballot Campaigns? 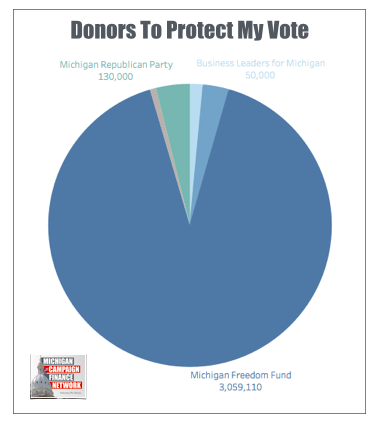 NOTE: This information is based on campaign finance disclosures filed with the Michigan Secretary of State. 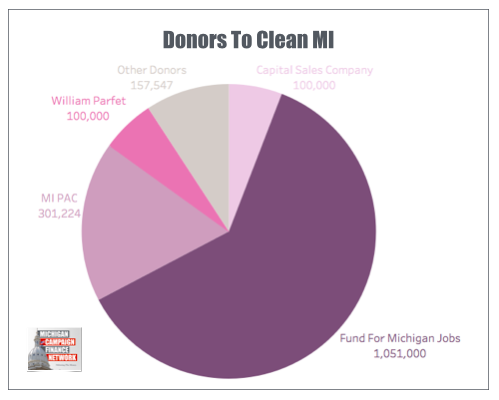 The Michigan Campaign Finance Network compiled the data. The page lists 2017-2018 statewide ballot proposal campaigns and opposition campaigns. The page includes ballot committees that have reported raising more than $100,000 and have taken a stance on a proposal that could be on the ballot in 2018. 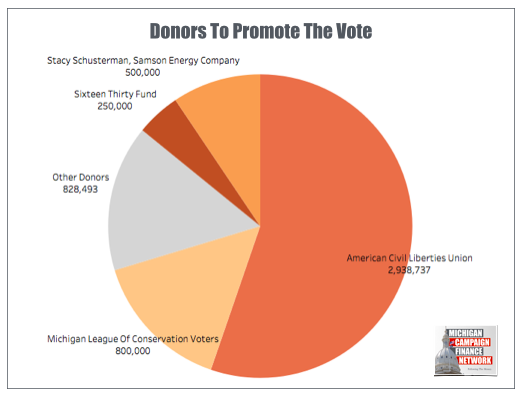 Full campaign finance disclosures from the ballot proposal committees are available here. 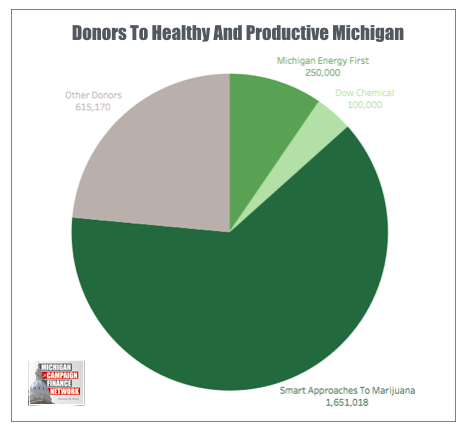 What it is: This was a proposal campaign to initiate a state law to legalize marijuana in Michigan. The proposal would allow for the personal possession of marijuana by individuals who are older than 21 and set up new state guidelines for the industry. The ballot proposal passed with 55.8 percent of the vote. 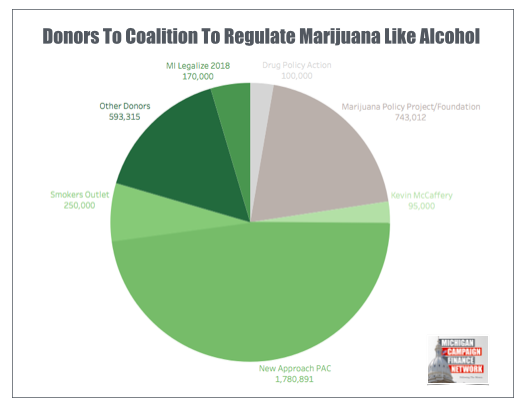 What It Is: This was a campaign to oppose the effort to legalize marijuana in Michigan. The ballot proposal to legalize marijuana passed with 55.8 percent of the vote. 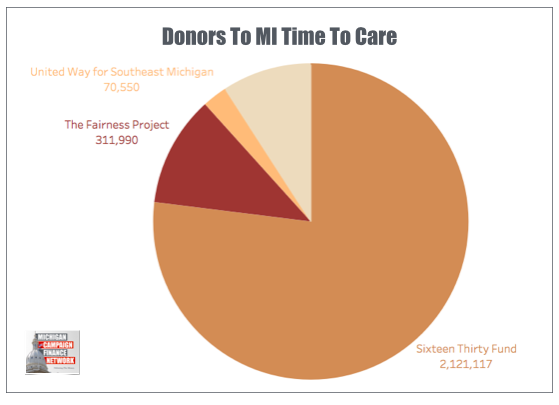 What it is: This was a ballot proposal campaign to amend the Michigan Constitution to reform the state's process for drawing legislative district lines. The proposal would take the power to draw district lines from lawmakers and give it an independent commission. The proposal passed with 61.2 percent of the vote. What it is: This was a ballot proposal campaign that worked to oppose Voters Not Politicians. The group formed on Aug. 23, 2018, and aired TV ads against the proposal. The ballot proposal to institute an independent redistricting commission passed with 61.8 percent of the vote. What it is: This was a ballot committee that opposed the Voters Not Politicians proposal. It also ran social media ads opposing the campaign for a part-time Legislature. This committee has worked on other issues in the past and could work on other proposals in the future. The committee dissolved in January 2019. 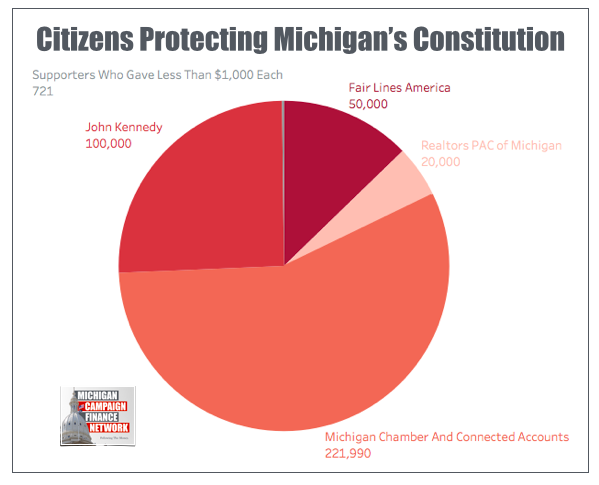 What it is: This was a campaign to amend the Michigan Constitution to make a series of election reforms. The campaign would allow for no-reason absentee voting and would allow for people to be automatically registered to vote when obtaining a license from the Secretary of State. It would also provide for the right to vote a secret ballot and to have election results audited. The proposal passed with 66.9 percent of the vote. 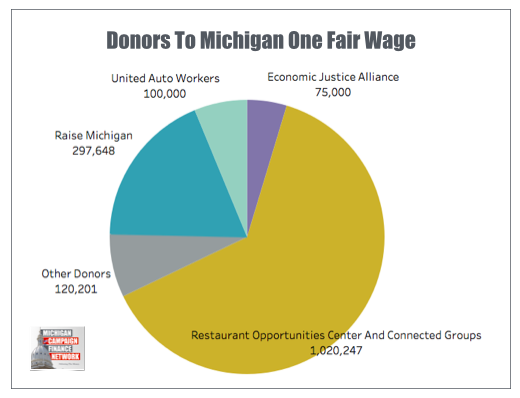 What it is: This was a proposal campaign to initiate legislation to increase Michigan's minimum wage. Under the proposal, the minimum wage would increase to $12 an hour in 2022. Michigan's current minimum wage is $8.90 an hour. The Legislature approved this proposal and later amended the language to weaken the proposal's provisions. What it is: This was a ballot proposal campaign that worked against the proposal to increase the minimum wage in 2018. The Legislature approved the proposal and later amended the language to weaken the proposal's provisions. What it is: This was a proposal campaign to initiate legislation to establish a right for employees to earn sick leave for personal or family health needs. The Legislature approved the proposal and later amended the language to weaken the proposal's provisions. What it is: This was a campaign that worked to oppose the ballot proposal to insttitute earned sick leave requirements in Michigan. The Legislature approved the proposal and later amended the language to weaken the proposal's provisions. 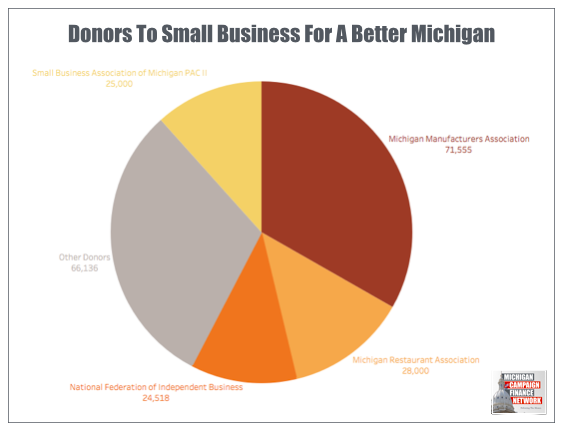 What it is: This was a proposal campaign to initiate legislation to repeal Michigan's prevailing wage law, which sets wage standards for certain publicly-funded construction projects. The standards are based on other collectively bargained wages in the area. The Legislature approved the prevailing wage repeal proposal in June, ending the campaign. 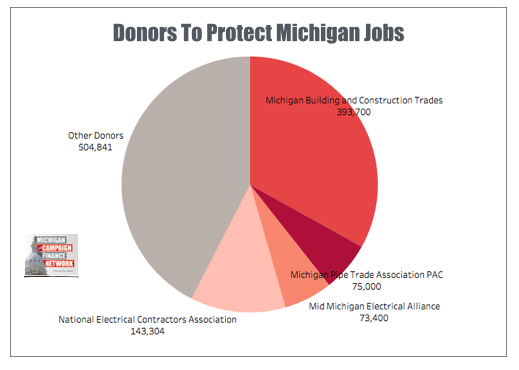 What it is: This was a ballot committee that opposes repealing Michigan's prevailing wage. 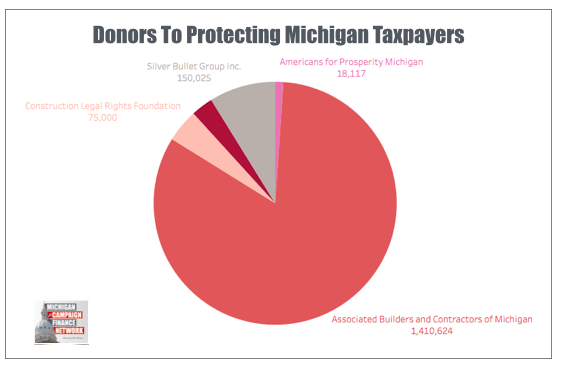 It has opposed Protecting Michigan Taxpayers' proposal. The Legislature approved the prevailing wage repeal proposal in June, ending the campaign. What it is: This was a proposal campaign to incrementally increase the renewable energy standard for electric providers to 30 percent by 2030. The standard is currently set to increase to 15 percent by 2021. 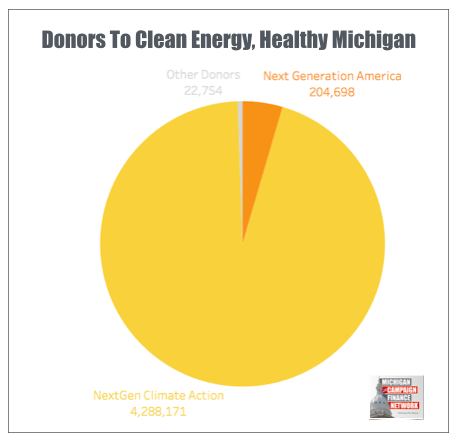 The committee dissolved in October 2018 after reaching a deal with Michigan's dominant electric utilities. What it is: This was a proposal campaign to amend the Michigan Constitution to require a part-time Legislature. Under the proposal, the Legislature must complete its work by April 15 of each year. This proposal failed to gather enough signatures to advance.